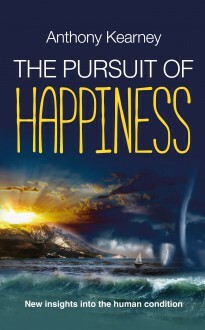 This book uses a new theory of self and personality to explore and explain the mystery of happiness. The author, a teacher, psychologist and cognitive behaviour therapist, explains how the key to happiness is understanding your reality and how it relates to the past, present and future, including love, sexuality, employment, education and work. Partly written as an antidote to feminist extremism, The Pursuit of Happiness will help readers, whatever their age, culture, ethnicity, wealth or physical condition, to plan a route to a happier future – first by exploring what happiness really means and how today’s society has lost sight of it, and then by setting out in a variety of real-life situations how it can and should be achieved. The key is a new concept developed by the author called the RDF – the Reality Differential Factor, designed to explore, and exploit, the realisation that happiness is relative.